Award-winning transformational Intuitive Life Coach,Master Spiritual Reader. 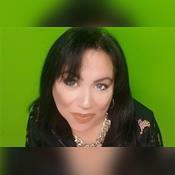 I offer a true realistic spiritual intuitive readings that will help you with a realistic picture of the influences and possible events around you. Thank you so much!!! Blessings to you!!! The Real Spanish Gypsy has been a user of Keen since 2013. Getting Life Questions advice from The Real Spanish Gypsy through www.keen.com is safe, secure and confidential.